CEO Dare to Cure: Are you a CEO who dares to cure children’s cancer? Are you a CEO who dares to cure children’s cancer? At The CEO Magazine, we speak to CEOs, Managing Directors and other business leaders every day, and we know firsthand that they’re daring beings who go above and beyond to make their impact on the world. It goes without saying that all leaders face challenges and step outside their comfort zones regularly, but it’s not every day that a CEO does the ice bucket challenge, walks on hot coals or glass, or bunks up with a 15-kilogram snake. In support of the Children’s Cancer Institute, CEOs and other business leaders pushed themselves out of their comfort zones to take on challenging dares at last year’s CEO Dare to Cure event – and raised $500,000 for the Institute. Now, the one-day event is back to raise more half a million dollars for the Institute in one morning on Friday 6 September 2019. There are seven dares to choose from, including getting a tattoo in public, walking on hot coals or glass, shaving your head (or beard or eyebrows), eating bugs, getting up close with a snake, or plunging into a bath of blisteringly cold ice – and you can take on as many as you dare. The CEO Magazine’s CEO and Co-Founder, Chris Dutton, who was overseas when last year’s event took place, is keen to take on not one, but several dares this year. “I reckon I would be up for the hot coals or the glass. I’d probably shave my head. I’d probably get a tattoo. I’d probably do three or four,” he says. 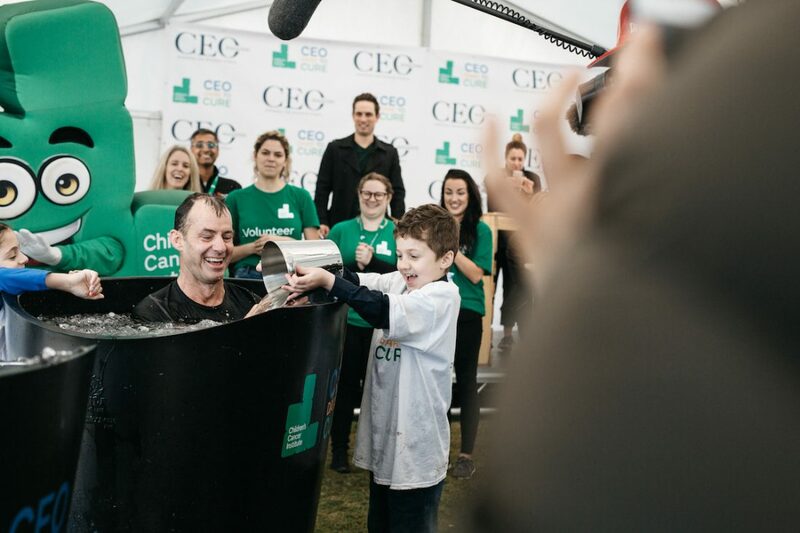 The CEO Magazine’s COO Daniel Di Loreto got involved last year by getting a tattoo in public and eating a fiery hot chilli, raising A$5,000. The father of two had a personal reason to get involved, with a close friend of his losing his three-year-old son to leukaemia after being diagnosed at just six months old. “I’ve seen firsthand what leukaemia can do to children and the impact it has on their family and the greater community, so I always try to get involved when there’s something I can do to help fight children’s cancer,” he told The CEO Magazine while raising awareness for last year’s event. 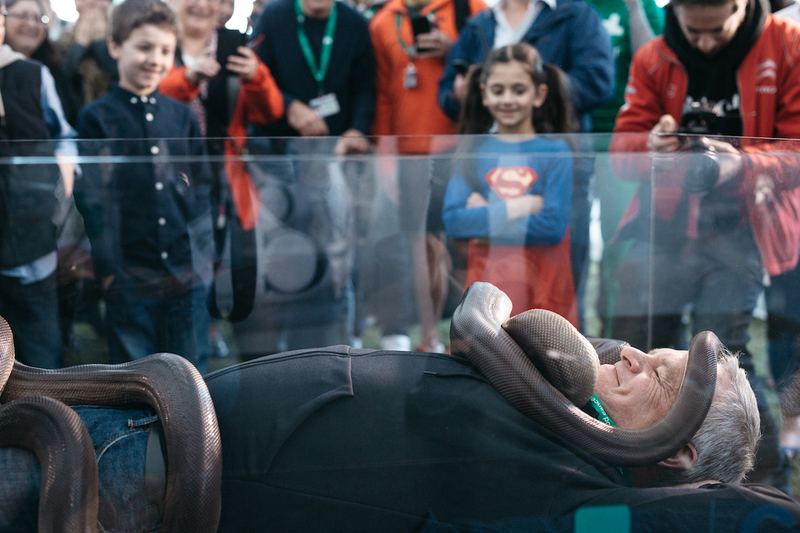 Chair of Airtasker James Spenceley remarkably raised almost A$60,000 for the Institute last year by challenging himself to the snake dare, having a 15-kilogram serpent slither on him for longer than anyone would like. Debra Singh, Group CEO of Household Goods for Freedom Furniture, Fantastic Furniture, OMF and Plush, bravely shaved her head for the event last year, which raised more than A$40,000. “I really appeal to everybody to get involved. It is one of the most incredible events,” she commented. Sydney Zoo Managing Director Jake Burgess, whose own daughter, Georgia, had a close brush with cancer, raised more than A$20,000, all from generous donations of supporters. The money raised through last year’s event has gone towards life-saving treatments for children and adolescents who are diagnosed with cancer. A$2,600 will be able to fund the development of life-saving minimal residual disease tests to detect one child’s risk of relapse from leukaemia. Sadly, every year in Australia, more than 950 parents will be told that their child has cancer. Thanks to medical research, survival rates are increasing – now at 80 per cent – but still, one in five will not survive their cancer. That’s three children and adolescents every single week in Australia alone who will die from cancer. 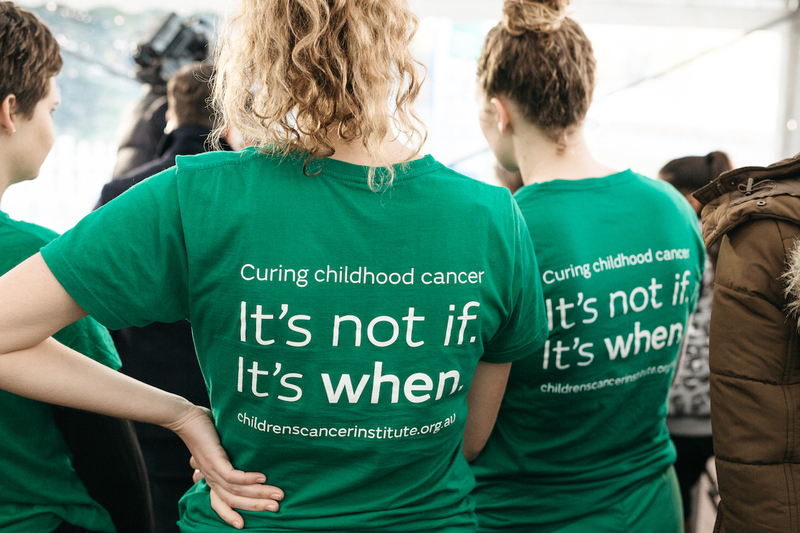 The Children’s Cancer Institute is the only independent medical research institute in Australia dedicated to childhood cancer and its team of medical researchers are working tirelessly to find new treatments and a cure. Events like CEO Dare to Cure are pivotal to help raise much-needed funds for this research. Sign up today to get involved in the CEO Dare to Cure 2019 on Friday 6 September. The event will be held between 6:30am to 9:30am at the Fleet Steps in the Royal Botanic Gardens, Sydney.